P.S. 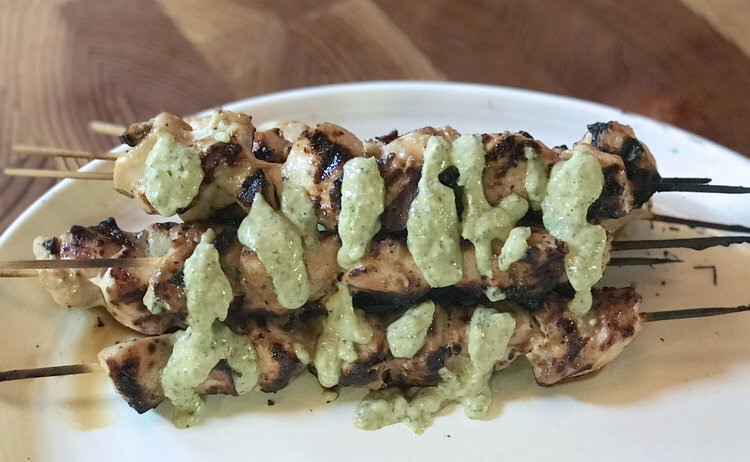 I have subsequently drizzled these delectable little kabobs with our herby tahini sauce and never looked back. You’re gonna want this stuff on everything, but it dresses up this chicken like nobody’s business. I’ve included the recipe below.